Author’s Note: This book is a previously published title. This second edition features new cover art and has been re-edited. This is the second book in the series, and I would recommend that you read them in order, as the stories of Ellery Mountain continue through the books. Also, the Friday club keeps on growing! I am going to assume that you have read book one in my review. The aftermath of Finn's murderous ex includes one Luke Fitzgerald having to return to Ellery Mountain to claim his inheritance. It turns out that he left under awful circumstances aged 16 and never planned on coming back. We watch on as he struggles with being back – even if only briefly. He meets Daniel Skylar, whose mother owns the other half of the cabin business, and cannot help but be attracted to him. Little does he know then how this man will change his life. Daniel is the dark and mysterious ex-Marine, who has seen more than he ever wanted to and has a plan to help others who have barely survived service. He is part of the Friday evening group that we met in book one. He is very worried about his mother's business, and the impact Luke selling to the wrong person could have. 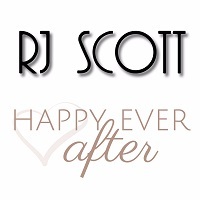 He never thought that he would fall for him, especially as Luke has no plans to hang around. They are so fabulous together, that we have to have faith in Ms. Scott doing the right thing, but Luke is a pretty stubborn character. Luckily ex, Zach, is on the case, and we get the ending that we want – and a call out for Kieran to get his chance soon! 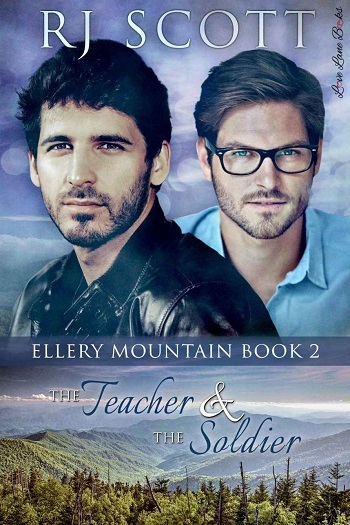 Reviewers on the Wicked Reads Review Team were provided a free copy of The Teacher & the Soldier (Ellery Mountain #2) by RJ Scott to read and review.